The Chinese New Year kicks off this Friday, February 16th, and it will be the year of the Dog. Over the years, my children have been exposed to several different cultures. I like to educate them on how other countries celebrate holidays and traditions. For example, this past weekend we made a delicious Chinese meal and learned more about Chinese New Year customs. We set the dining table with red and gold paper products, ate with chopsticks, and although it’s not technically a Chinese tradition, we also enjoyed fortune cookies after dinner. Greeting friends with oranges or tangerines during the New Year to ensure that friendships remain intact. This one was the inspiration for today’s recipe! Distributing red envelopes (signifying Joy and Luck) filled with money to start the year with prosperity. My kids perked up when they heard this one. Like I mentioned earlier, food was also a big part of our weekend celebration. 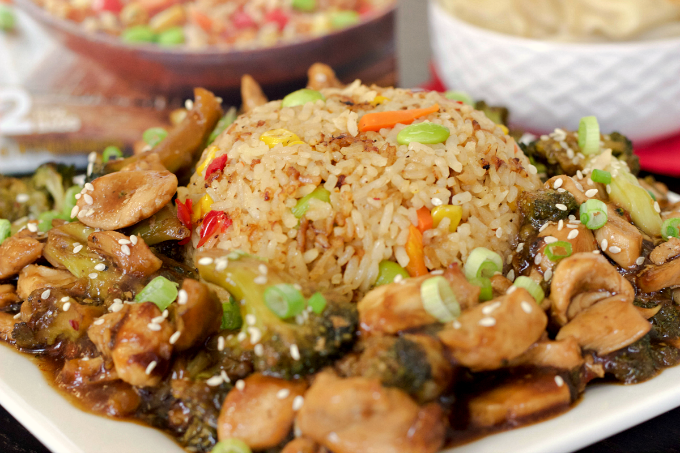 We decided to make our own version of Orange Chicken and Broccoli to serve with Ling Ling Fried Rice Chinese-Style Vegetable. I also purchased Ling Ling Potstickers which are made with chicken and tender vegetables wrapped in a dumpling. 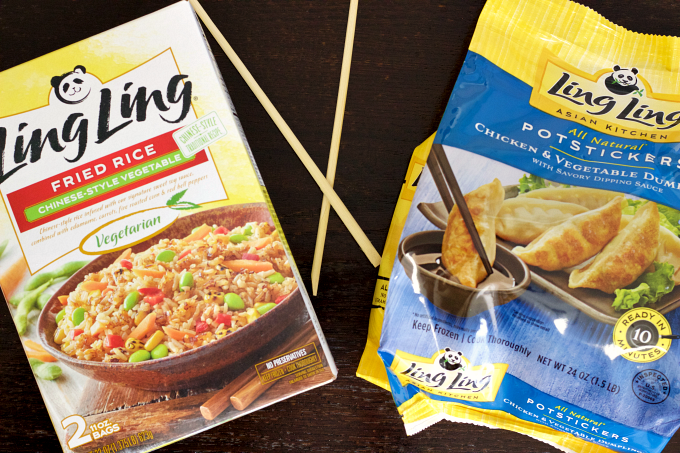 The potstickers come with Ling Ling signature dipping sauce and were ready in just 10 minutes. I love easy meal solutions! 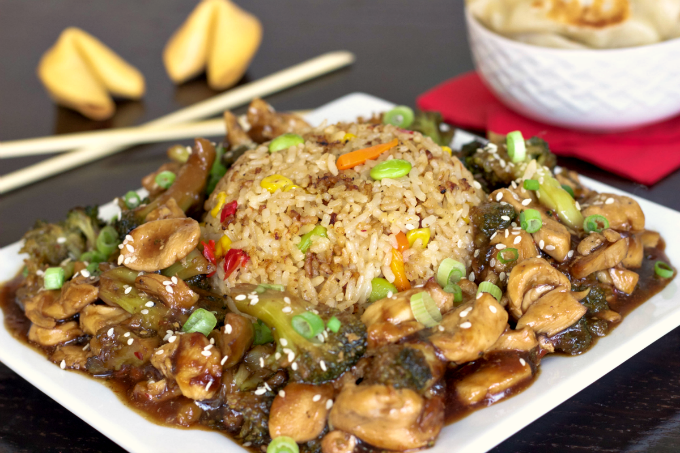 This Chinese-inspired recipe is super easy to make without sacrificing flavor. 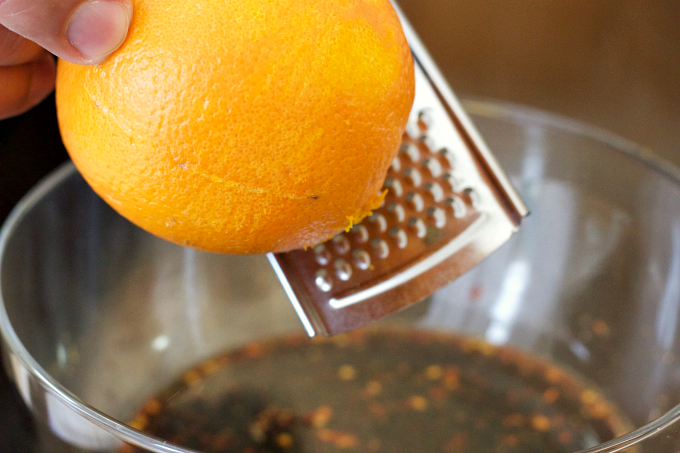 The orange juice and zest add a sweet citrus touch to the savory sauce. Aside from Ling Ling Chinese-Style Vegetable Fried Rice, you can also purchase the following varieties: Yakitori Chicken, Yakiniku Beef, Thai-Style Chicken and Bibimbap Beef. Ling Ling also offers a line of Ling Ling Fried Rice with five unique dishes based on pure and authentic Asian inspired recipes from Japan, China, Korea and Thailand. Find them at a store near you by clicking here! 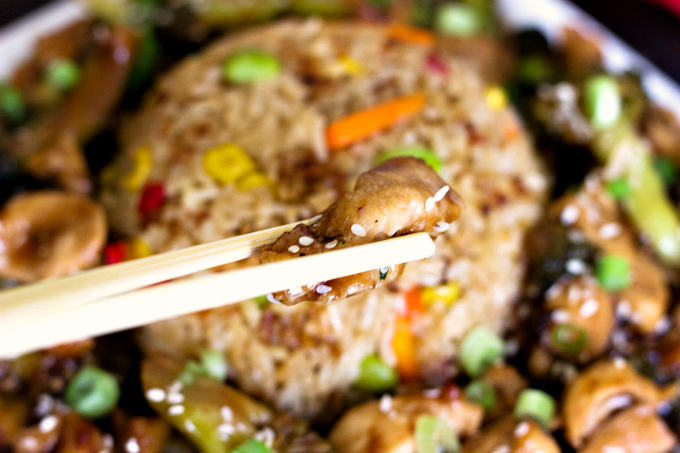 Once cooked, you can also sprinkle the Orange Chicken and Broccoli with sesame seeds and diced green onions. We declared this meal a winner and will be adding it to our dinner rotation. My kids also had fun cracking (and eating!) 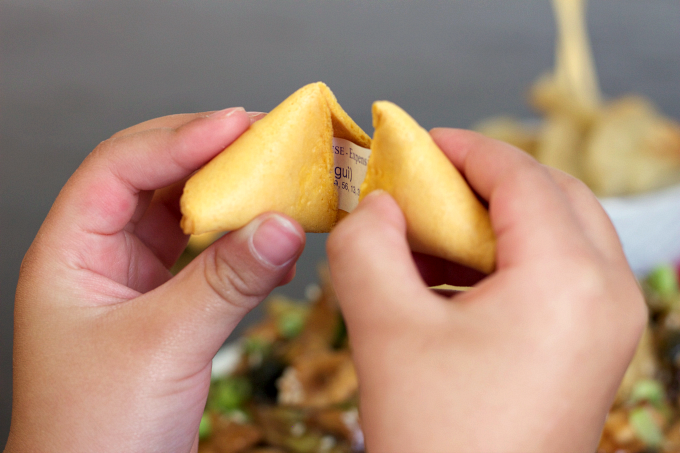 the fortune cookies. 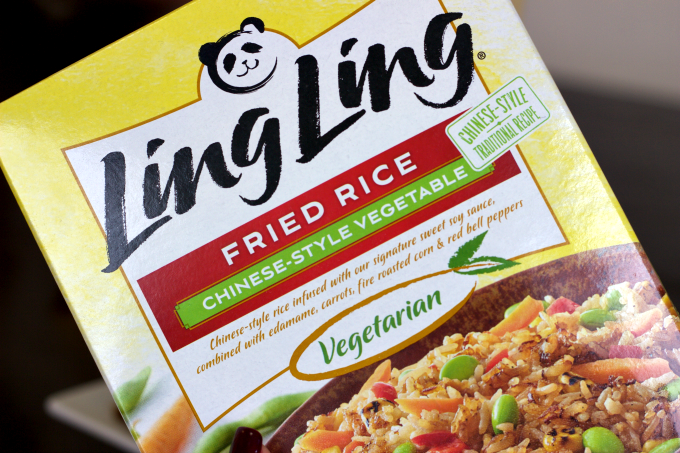 For more delicious recipe ideas make sure to follow Ling Ling on the web, Facebook, and Twitter! Season chicken with salt and pepper. Cook in a large skillet until well done. Steam broccoli florets and add to cooked chicken. Add water, soy sauce, honey, brown sugar, ginger, garlic, pepper flakes, orange zest and orange juice to a bowl and mix well. 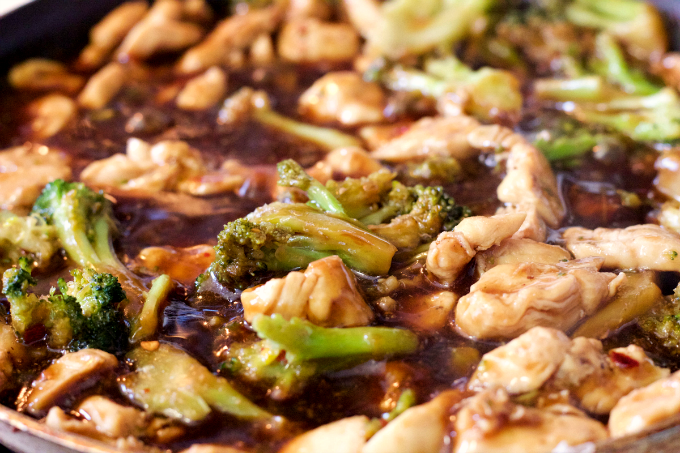 Add sauce to chicken and broccoli, bring to a boil. Mix 1/4 cup of water and corn starch. Add to chicken and broccoli, stir until sauce thickens. Serve over Ling Ling Fried Rice. Optional: You can add more pepper flakes for a spicy kick.